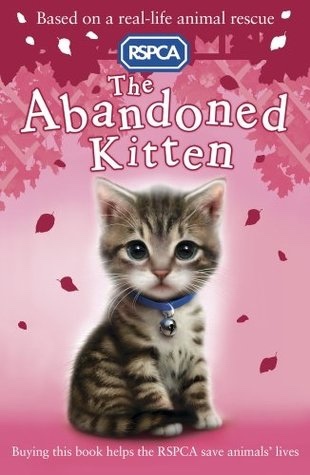 It is an RSPCA book that is based on a real life animal rescue of three small kittens. Lily and her family help the three abandoned kittens when they are lost in a storm. Lily’s mum is an RSPCA helper who teaches Lily how to care and look after the kittens. The littlest kitten was struggling to eat and was very weak. My favourite part of the story was when it was Lily’s birthday and she got a present that was the smallest kitten that was better and growing up. The pictures in the book were very cute and cuddly. Also at the end there’s a fact file about kittens and how to look after them. There’s also an RSPCA helper who tells you about the kittens she has rescued. Each book has a different animal tale to tell and boys and girls would both like it. There are 10 books in the RSPCA series. I can recommend this book.